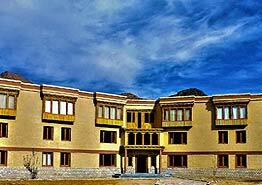 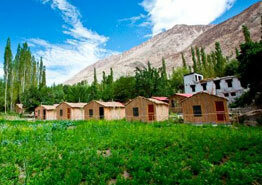 Located in the picturesque village of Hunder, just 7 kilometers away from Diskit and the Nubra Valley headquarters, Organic Retreat Camp is spanned across 5 acres of verdant green farms and orchards. 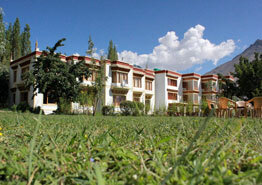 It is just 2 minutes walk from the famous sand dunes in Hunder. 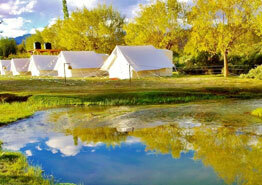 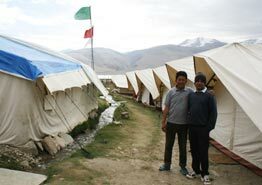 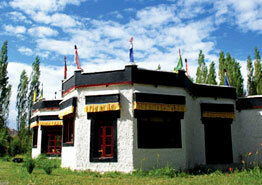 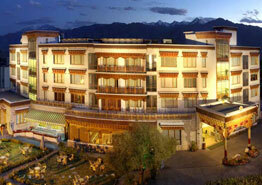 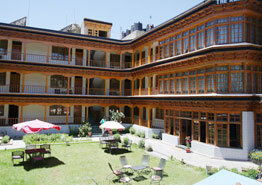 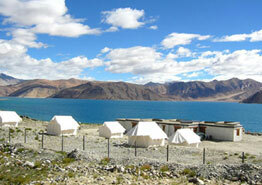 The hotel boasts of 22 spacious and well appointed double bedded tents. 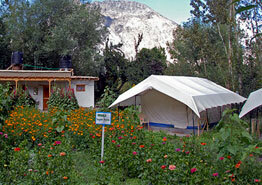 The hotel has its own organic garden where vegetables are grown and used for preparing food. 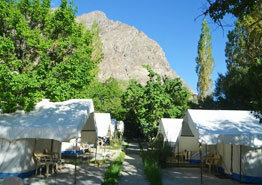 The resort accommodates its guests in 22 spacious and tastefully designed double bedded tents that extremely comfortable. 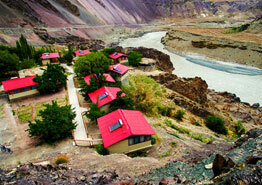 There is a facility of 24-hours running hot & cold water. 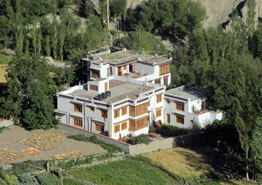 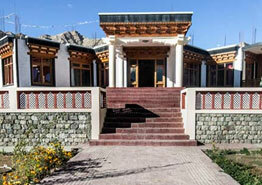 The in-house Kitchen of the Nubra Organic Retreat offers a fine assortment of Indian, Chinese, Continental and Tibetan food.